As armies find themselves dragged into more and more urban based conflicts the ability of existing systems to operate effectively is severely challenged. It has been a long standing “Cold War” doctrine that tanks should not fight in built up areas, but this is has been overturned by the strategy of necessity. However a quick google search will demonstrate the vulnerability of tanks used on their own without infantry support in Syrian cities. The success of armour in the “Urban” depends on co-operation between mounted and dismounted assets to achieve mutual support, this is a capability not well catered for in current vehicle and equipment designs. The Challenger 2 Streetfighter is a British Army project to produce a Main Battle Tank Concept Demonstrator that showcases what could be done to the UK Main Battle Tank to make it more suitable for operations in the “Urban”. The tank features numerous modifications but Ultra Electronics Precision Control Systems fitted a Local Situational Awareness System (LSAS) that as well as enhancing the SA for the platform “streams” the cameras feeds so they can be viewed by the soldier systems of the dismounts working with the tank. 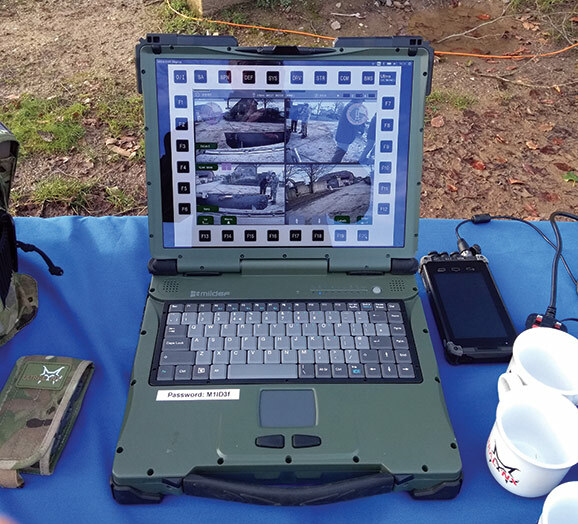 This streaming is achieved by the use of a wireless network, which while being considered insecure for military communications, is a cheap and effective way to “publish” video sensor feeds around the tank. 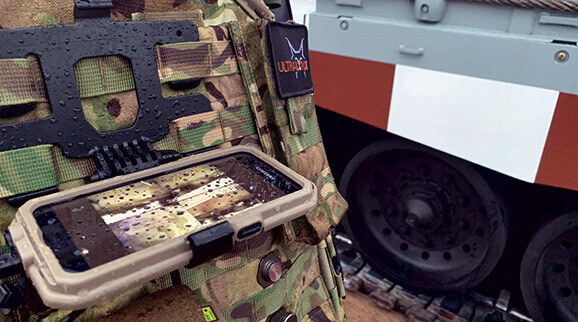 The creation of this wireless bubble is also an effective bearer for video streams from other systems such as drones or Unmanned Ground Vehicles (UGV), or allow centralised viewing. This network is not used to transmit any type of tactical information but just the video streams from cameras that are either on the tank or in its immediate vicinity. 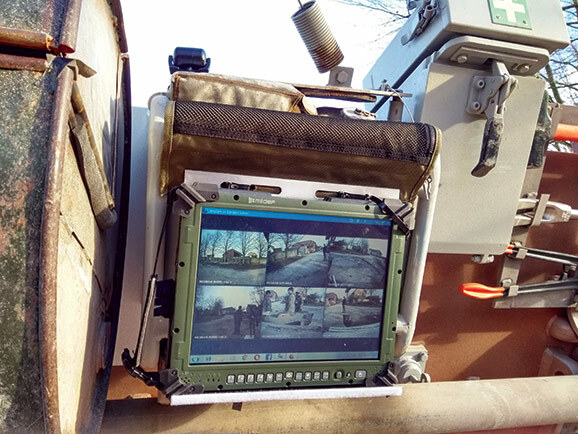 Using the End User Device (EUD) of their Soldier System, this system allows dismounts to safely view the camera feeds from the AFVs that they are working with while using the cover provided by those vehicles. Although the range of the network is limited it does allow the stream to be viewed from local cover or to view from one vehicle while taking cover behind another. It also provides a “common” picture that allows dismounts to see what the vehicle crews can see, providing a “common” SA picture. Not all dismounts may have a soldier system, so as part of the Streetfighter Concept a screen is fitted to the rear of the tank to show the LSAS camera feeds, either from that vehicle or from others. This also provides a centralised briefing focus prior to an assault. Once the network has been established a rugged laptop or tablet can also be used to view the video stream. This can provide a centralised access to sensor feeds for planning or observation. Wi-Fi was used to demonstrate this concept but this network could be created by using soldier radios to broadcast the stream if required.